Less than a year into its operations at Heathrow, Flybe has distinguished itself in its noise and emissions performance, achieving the top ranking in the latest “Fly Quiet and Green” league table. Data behind the league rankings also shows a marked reduction in the number of aircraft departing in sensitive night time hours this year which, along with other noise mitigations used by Heathrow, are making a real difference to local people. The latest league table ranks the performance of the top 50 busiest airlines at Heathrow on seven noise and emission metrics from October to December 2017. 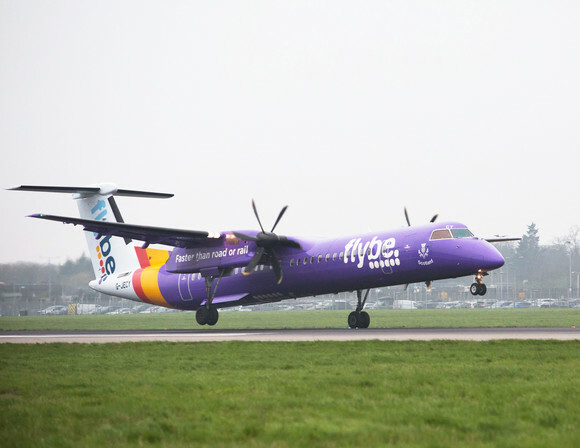 South West-based Flybe, Europe’s largest regional airline, flies from Heathrow to Edinburgh and Aberdeen . It debuted in 29th place in its first league ranking mid-2017, and through ongoing engagement with technical teams at Heathrow has quickly climbed up the ranks. Cooperation with Heathrow’s noise technical teams also led to marked improvements in track keeping for other carriers. Cathay Pacific is up 11 places this quarter and now has a perfect score in that metric and Oman Air climbed 15 places due to its nearly perfect (99%) score. The latest “Fly Quiet and Green” scores also reflect the marked decrease in the number of aircraft departing during sensitive night hours in 2017. In fact, from January to December last year, Heathrow’s airline partners reduced the number of late running departures between 23:30 and 04:30 by over 30% versus 2016. Chapter number scores – the metric which tracks the make- up of airlines’ fleets – across the league table improved by 10% over the last year, showing airlines are using modern aircraft types in their Heathrow routes. Polish airline LOT, for example, achieved a 20% improvement in their scores after introducing a newer Boeing 737 Max at Heathrow for some of their services in the last quarter of 2017.